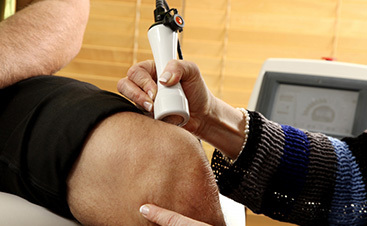 When you first visit Integrated Physical Medicine, you will be meet our professional and friendly office staff. You can give them your new patient packet or you can fill one out in our comfortable reception area. Afterward, Dr. Mitz’s assistants will show you to a private room and talk with you about your medical history, your concerns and explain our process and treatments to you. Most of our patients can remain fully clothed, but we provide you with shorts or a gown if necessary. We encourage you to dress as comfortably as possible for your visit with our chiropractor. When you meet Dr. Mitz, he will listen to you as you share your concerns and answers your questions. Then, he will perform a thorough examination before considering treatment options, like chiropractic care. Our certified Chiropractic Radiographic Technicians and full X-ray facility are readily available if X-rays are needed! Other tests may be needed, such as Bone Scans, lab work, Osteoporosis testing, MRI or CAT scans, etc., as Dr. Mitz refuses to initiate a treatment plan until he is confident that an accurate diagnosis has been reached. 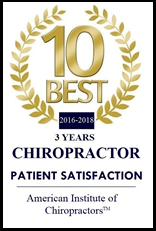 We will strive to deliver pain relief from your first visit to our chiropractic clinic. Your second visit will include extra time for the review of test results, explanation of your diagnosis, discussion of the treatment plan and answering any questions you may have. Please feel free to bring a friend or family member to any visit! We will also evaluate patients with muscle and/or joint complaints in our physiotherapy department’s gym. This will allow us to isolate functional deficiencies, which can be treated with either a home exercise program or a supervised stint of rehabilitation in our state-of-the-art facilities.